March 2018 Congratulations to the whole team working on mobile ELISA! We were on more than 80 news sources and on FOX 13 TV channel. September 2017 Congratulations to Dr. Pyayt on University of South Florida Excellence in Innovation Award! July 2017 Congratulations to Dr. Pyayt on her awarded NSF proposal! May 2016 Congratulations to Dr. Pyayt on her awarded NSF proposal! May 2016 Congratulations to Shekhar on defending his doctoral degree! October 2015 Congratulations to Karthik on defending his masters degree! October 2015 Congratulations to Edikan on defending her doctoral degree! Congratulation to Dr. Pyayt on her tenure and promotion! 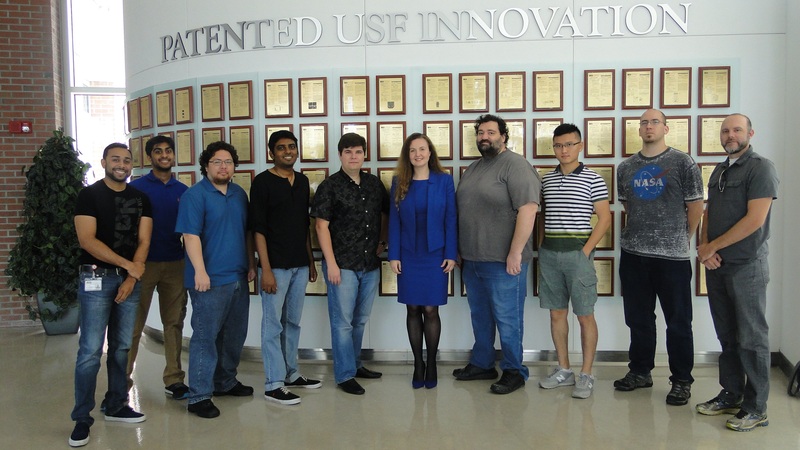 IBIS - Innovative Biomedical Instruments and Systems lab performs research on nano-instruments and bio-sensors applied to advanced diagnostics, imaging and treatment. Our research lies on the border of photonics, nanotechnology, bioimaging and microfluidics. We take a quantitative approach to technology design, and take projects all the way from careful design and optimization to fabrication and application to real word problems. The head of the IBIS lab is Professor Anna Pyayt who joined USF after being an NSF CIFellow and Postdoctoral Fellow at Stanford University. She earned her dual Ph.D. in Electrical Engineering and Nanotechnology from the University of Washington. One of her inventions - Telescopic Pixel (a competitor to LCD) that Dr. Pyayt created in collaboration with Microsoft Research gained international media attention, was highlighted in high-profile journals like Nature, and other top scientific venues. The original publication was translated into more than 30 languages worldwide. She was also the first scientist to demonstrate a novel optical interconnect between a photonic and multiple plasmonic waveguides enabling fabrication of new Biomedical nano-chips (published in Nature Nanotechnology).